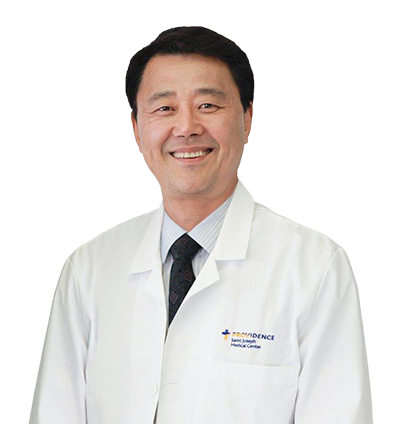 Sun H. Lee, M.D., Ph.D., is a fellowship-trained, board certified, neurosurgeon specializing in complex spine and brain tumor surgery with more than 50 publications. He joins the Valley Neurosurgical Institute from Robert Wood Johnson University Hospital, Rutgers University, New Jersey, where he served as Professor of Neurosurgery. He practiced at that institution for the last 14 years. Prior to that he was on faculty at the Thomas Jefferson University in Philadelphia, where he completed a second full set of neurosurgical residency and spine fellowship. He graduated from Seoul National University, Seoul, Korea, where he completed his first neurosurgical residency and a cerebrovascular fellowship. He served as a member of the faculty at Seoul National University (1989-1993). He also completed additional training in vascular neurosurgery and neurosurgical oncology/skull base surgery at University of Pittsburgh and University of Minnesota. He is a member of numerous professional societies, including the American Association of Neurological Surgeons, Congress of Neurological Surgeons and the North American Skull Base Society. He has been annually cited as one of the “Best Doctors in New York and the metropolitan area”, and is a recipient of the “Patient’s Choice Award”. His experience with complex spine and brain surgery surpasses 4000 operative cases. His clinical and research interests include complex surgery of the spine, malignant brain tumors, pituitary tumors, and minimally invasive procedures. Dr. Sun H. Lee has been actively involved in academic neurosurgery, initially as Assistant Professor of Neurosurgery (Seoul National University, University of Minnesota, Thomas Jefferson University) and Research Director, Department of Neurosurgery, University of Minnesota, and Professor of Neurosurgery, Rutgers State University of New Jersey, Robert Wood Johnson Medical School.